Sean became interested in his craft at the age of 7 when he received a deck of Marshall Brodien's T.V. Magic Cards for his birthday. He made his first public performance at the Helen Plum Library in Lombard, IL at twelve years old. As a teenager he won Chicago's Junior Magician of the Year award. His dual interest in magic and theater lead him to study acting at Illinois State University. While there he picked up a 2nd major in French which explains his appearances at Festimagic in Paris and The International Theater Festival of Grenoble. For the last five winters Sean has performed a Saturday afternoon matinee show at Theater Wit on Belmont Ave. in Chicago. His other yearly theater appearances include The Skoie Theater and the Acorn Theater in Three Oaks, MI. 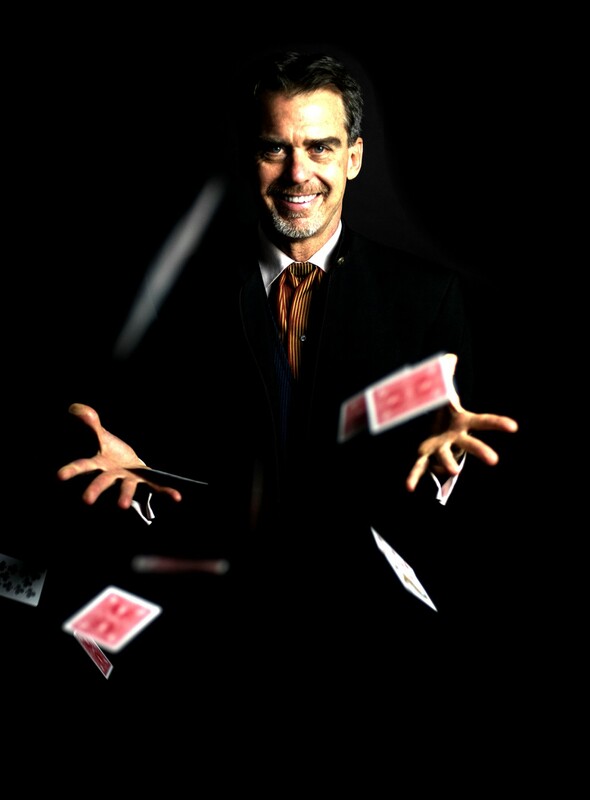 His close up magic has been seen at many corporate, social events including Abbott Laboratories, The Chicago Architecture Foundation, Copia Capital and The Driehaus Museum. Each year for the last 18 years Sean makes 40 appearances in local children's hospitals.